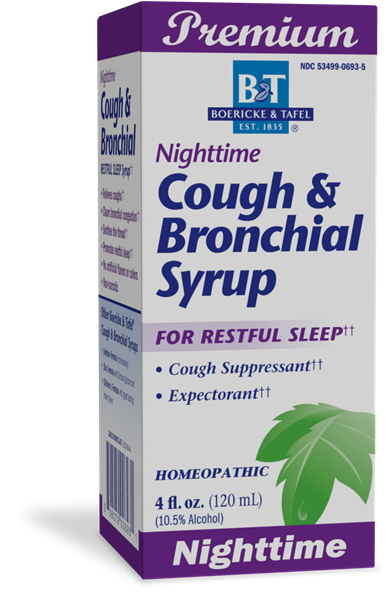 Nighttime Cough & Bronchial / 4 oz - Nature's Way®. Adults & children 12 years of age and older: Take 2 teaspoons (tsp) (10 mL) 1/2 hour before bedtime. Dose may be repeated if necessary.